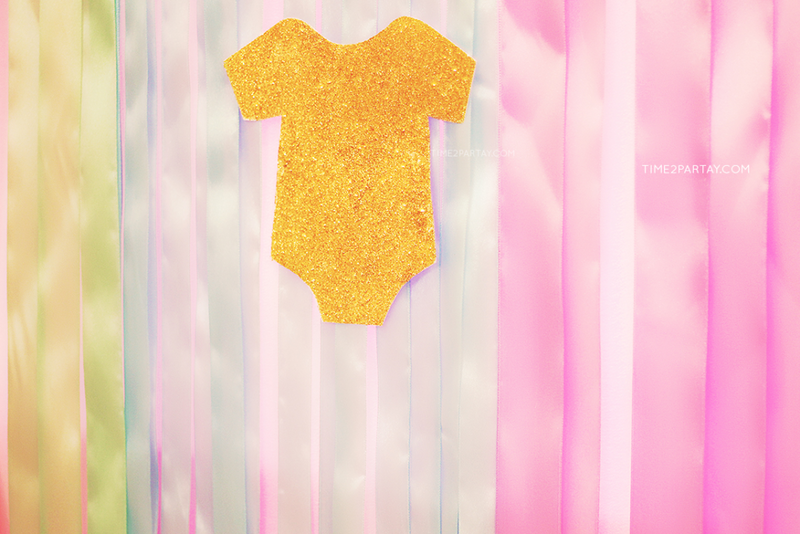 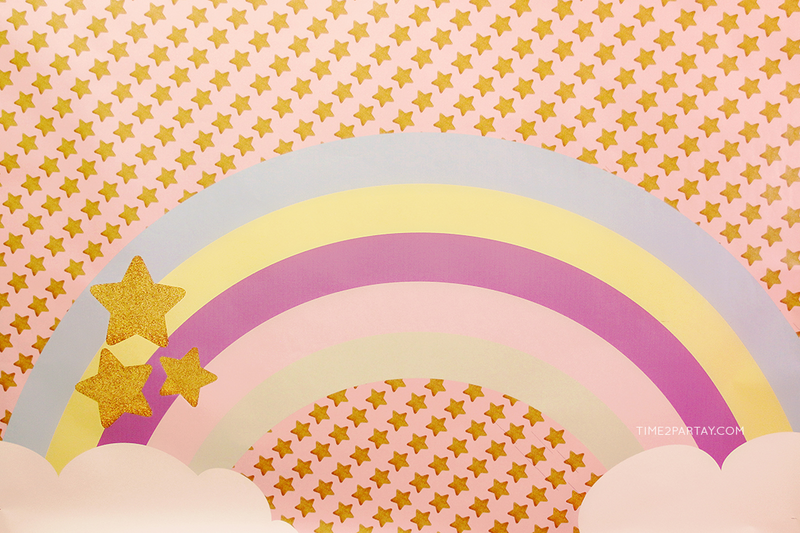 Baby girls are a magical gift, so why not welcome your newborn to this world by throwing a party filled with glitter, rainbows, and unicorns! 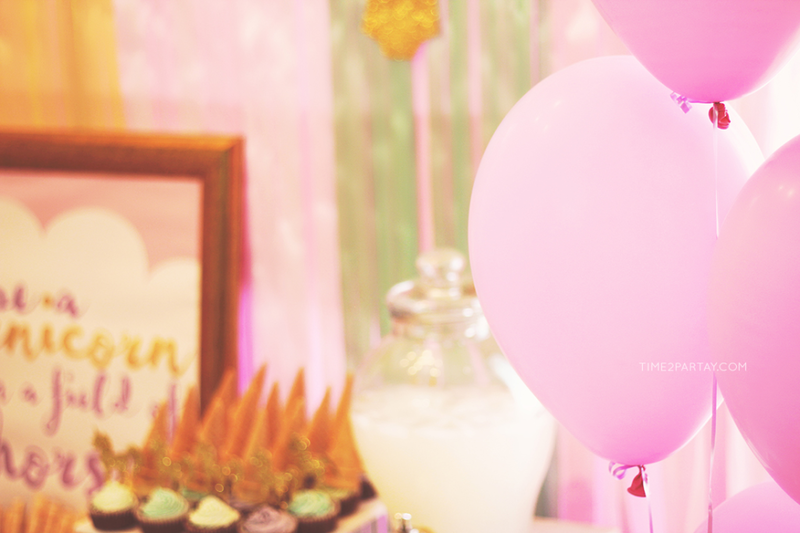 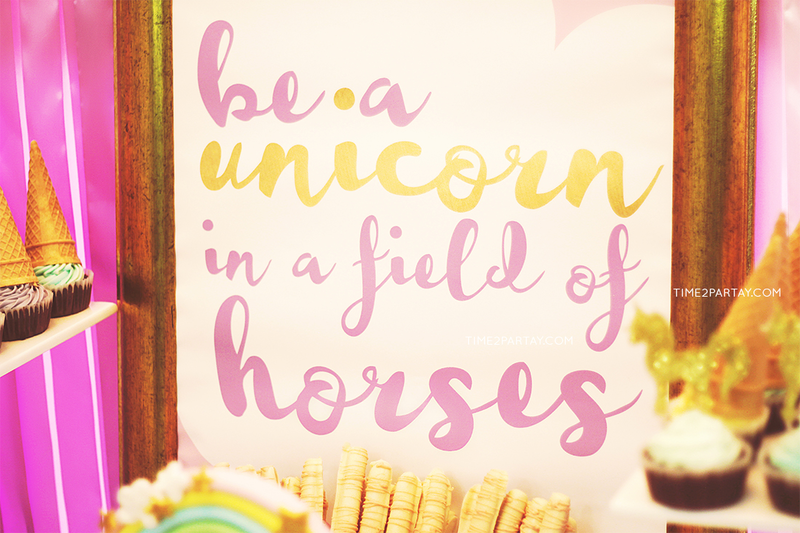 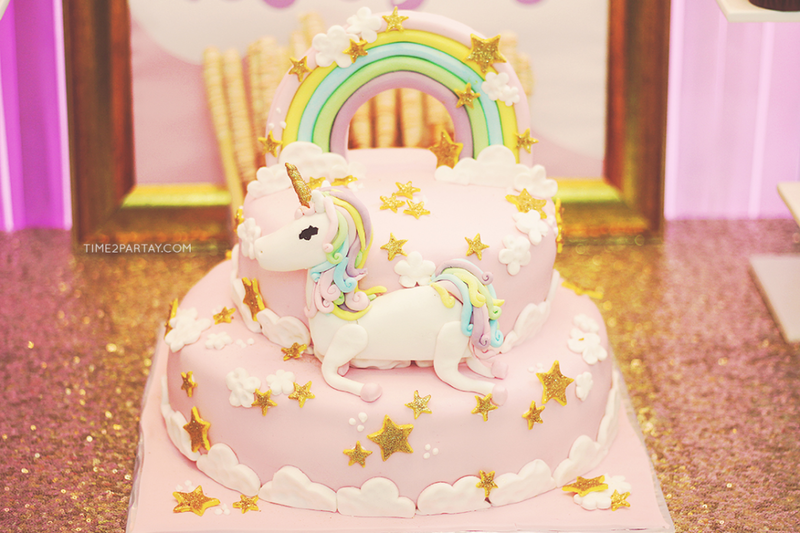 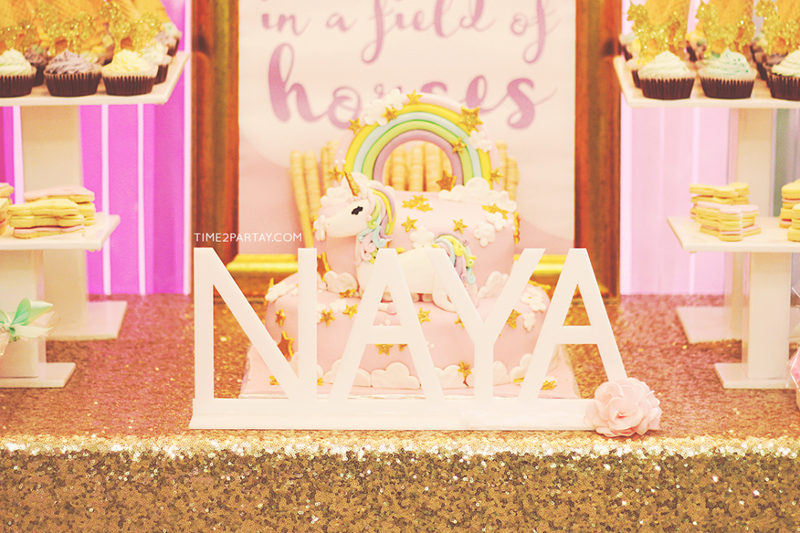 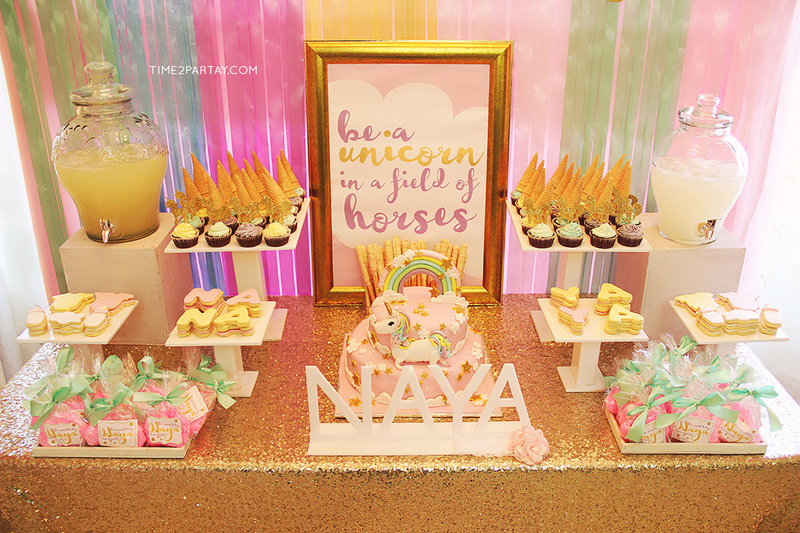 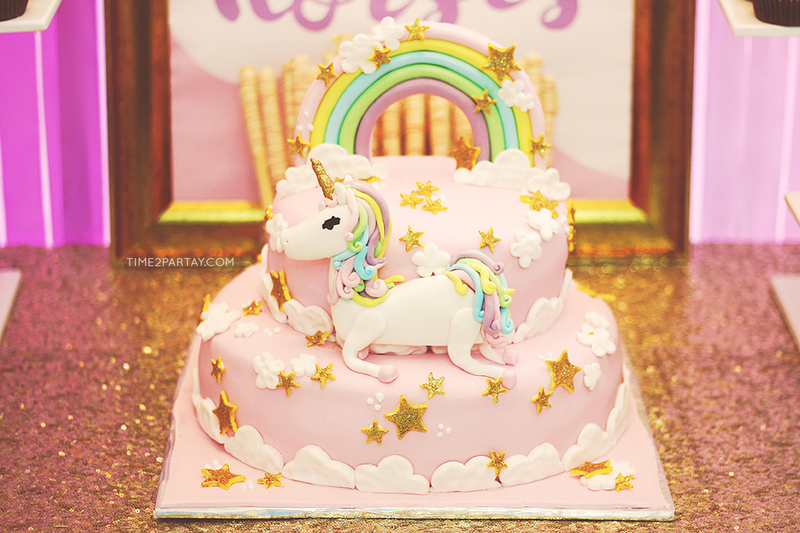 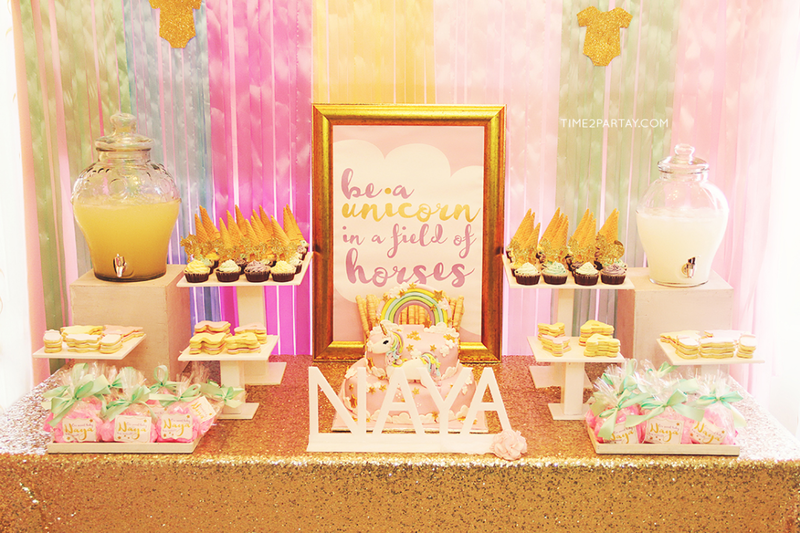 Baby Naya’s parents wanted a unicorn themed party to celebrate their new addition to their family. 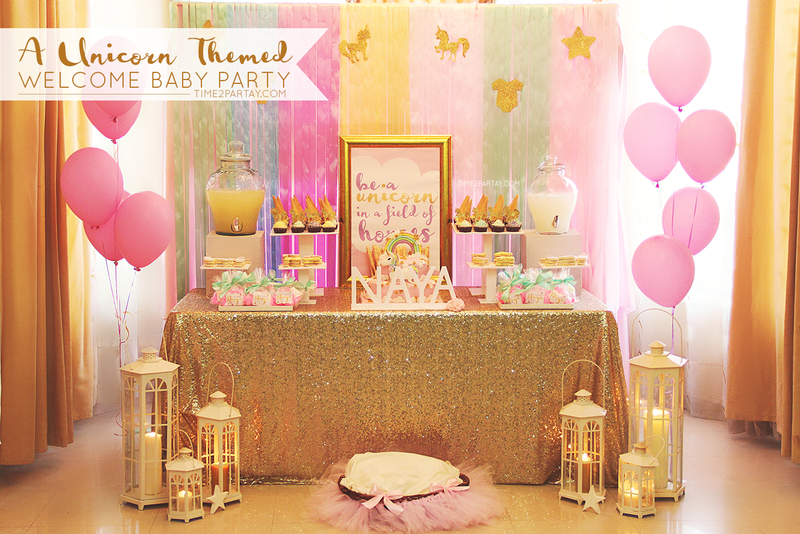 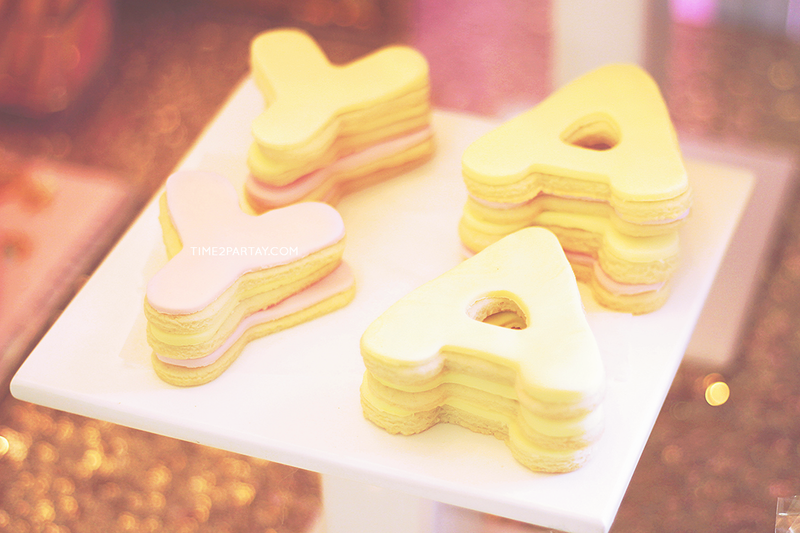 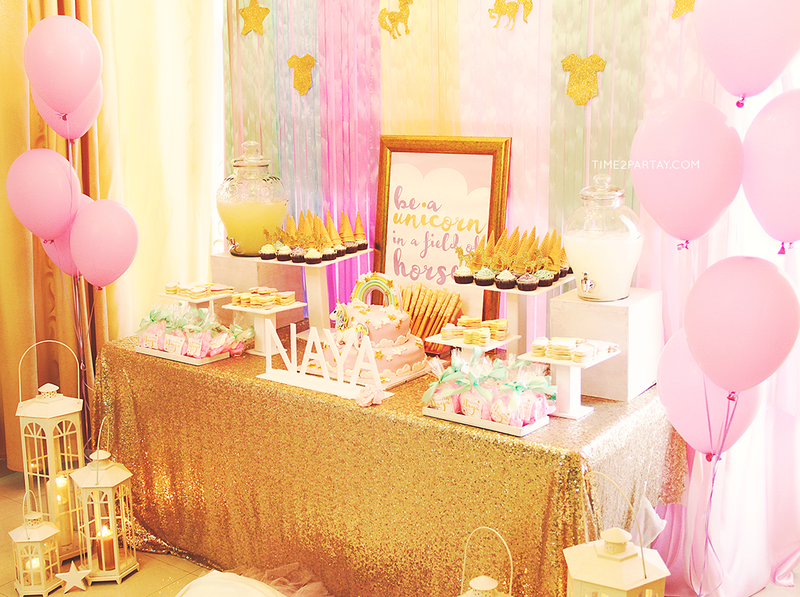 We chose gold and pastel colors for this theme. 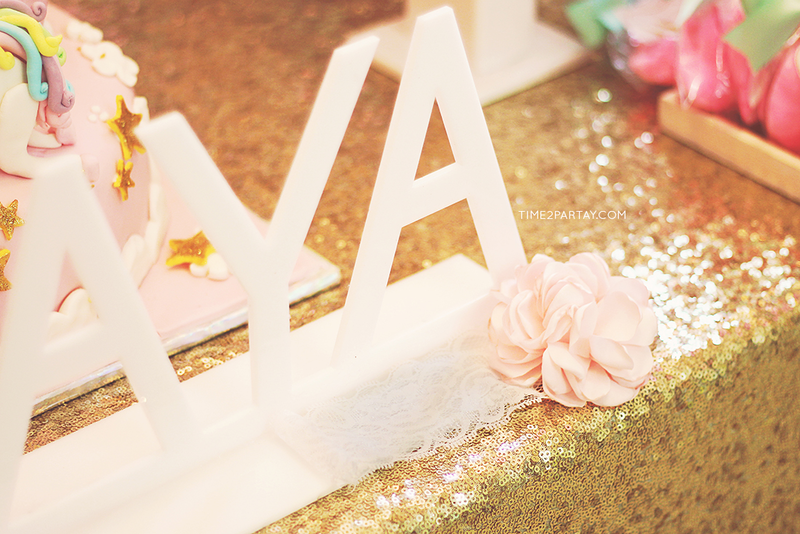 The sweet and detailed cake by Sukkar Cakes was simply perfect. 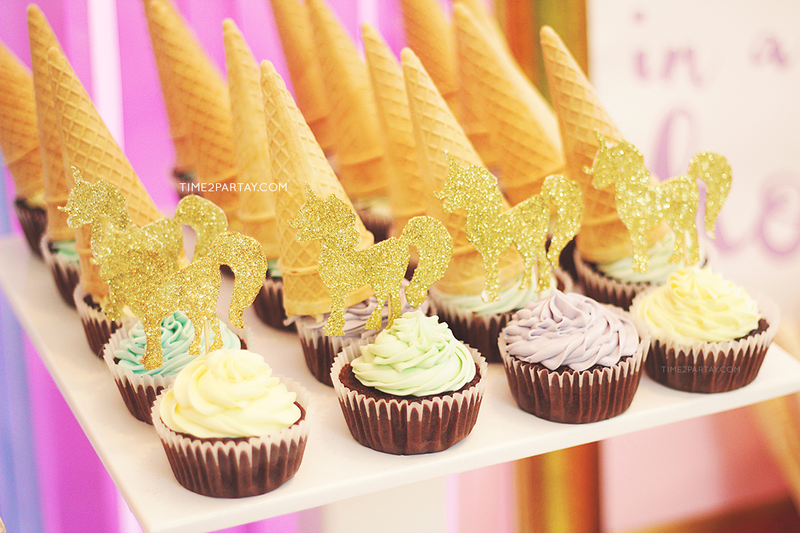 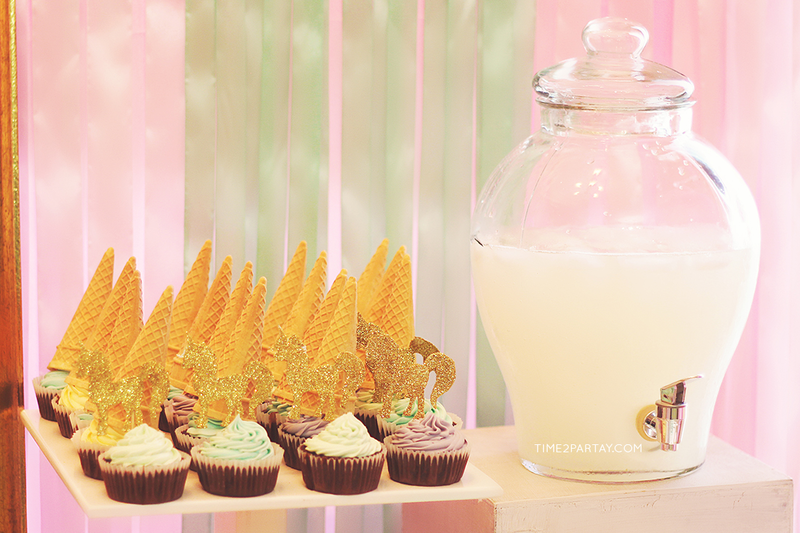 We added lemonade in juice dispensers, our cupcakes with unicorn toppers, and cotton candy to the dessert table. 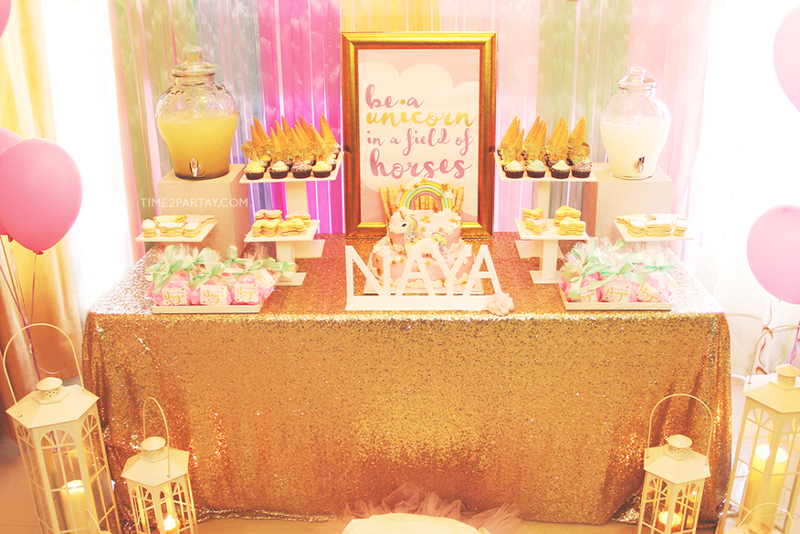 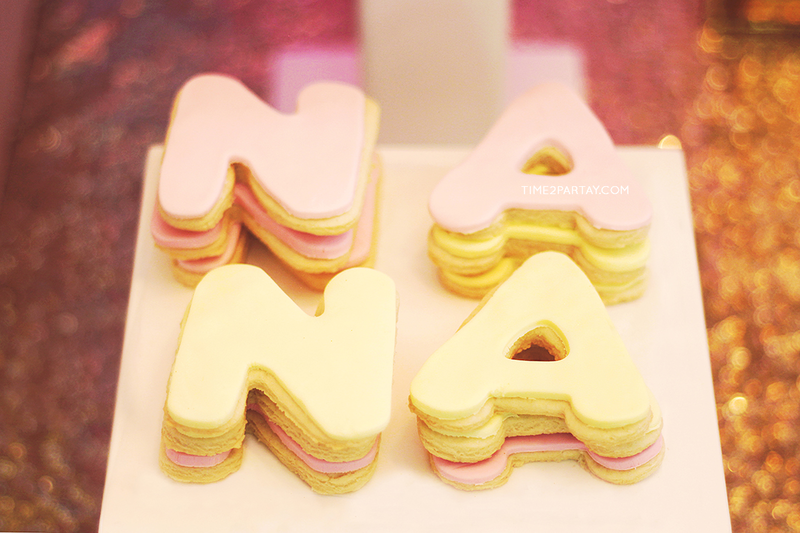 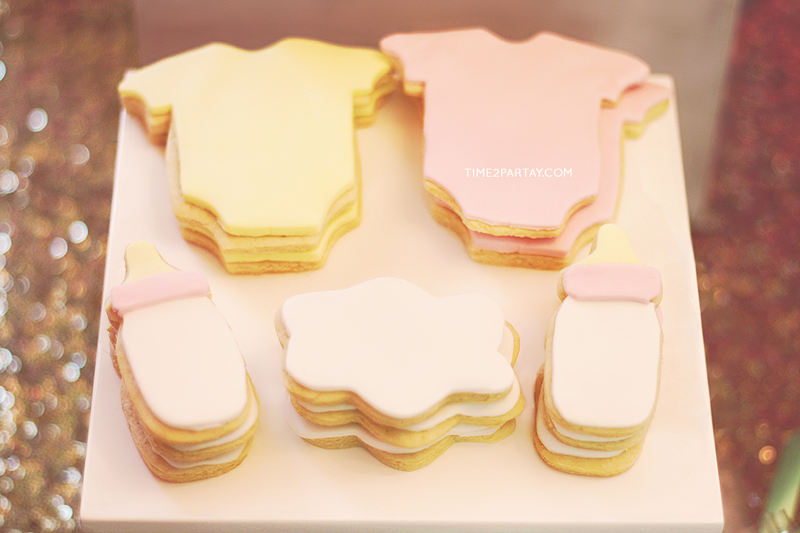 We also added our homemade cookies shaped as the letters “Naya”, onesies, clouds, and baby bottles. 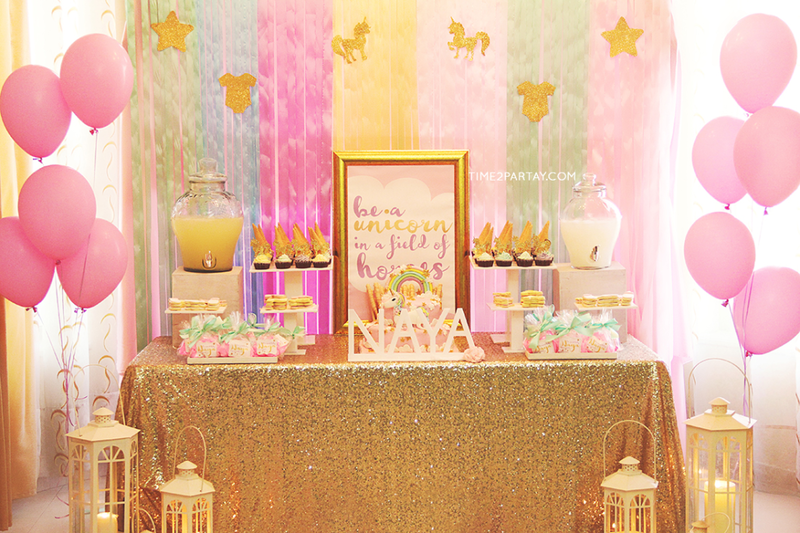 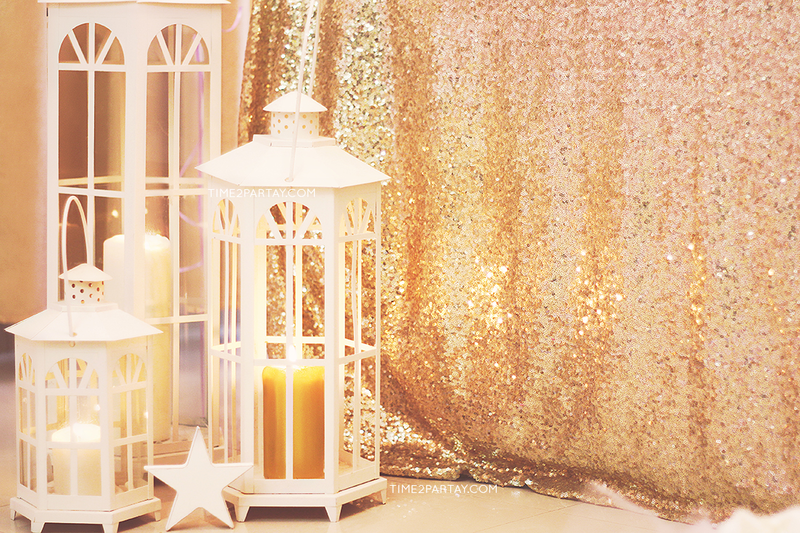 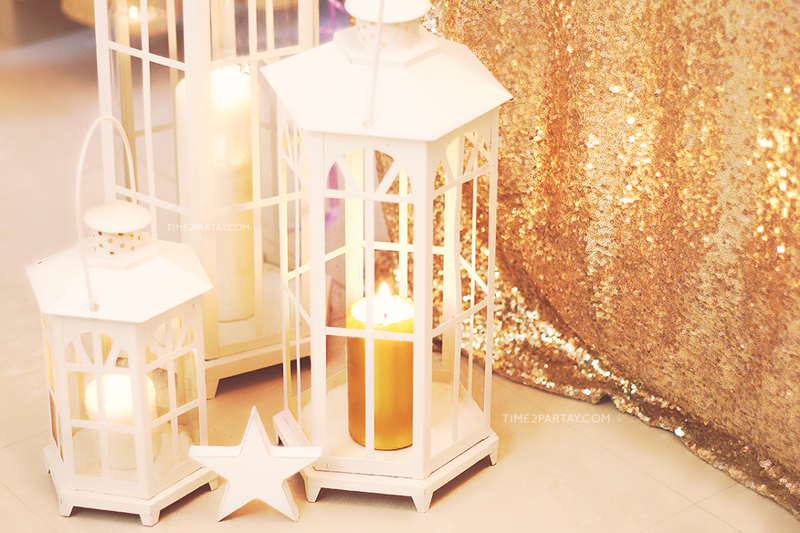 The dessert table decor- from the background to the lanterns- turned out to be magical! 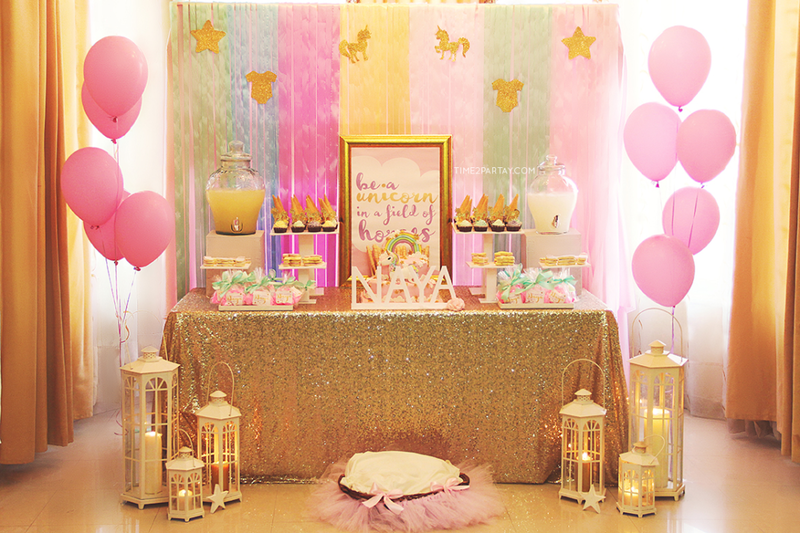 We also designed a photo booth backdrop and entrance sign as part of the party decor. Check out the pictures below for more details. 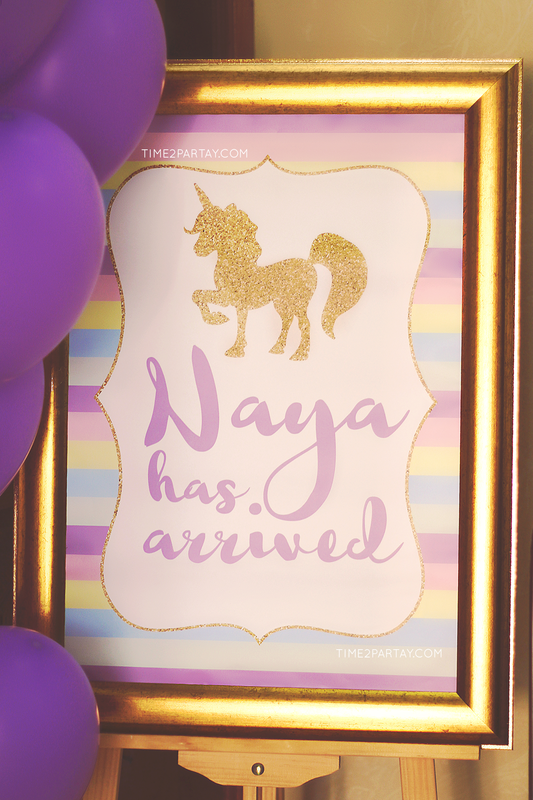 Congratulations to Naya’s sweet parents on the arrival of their adorable baby girl!